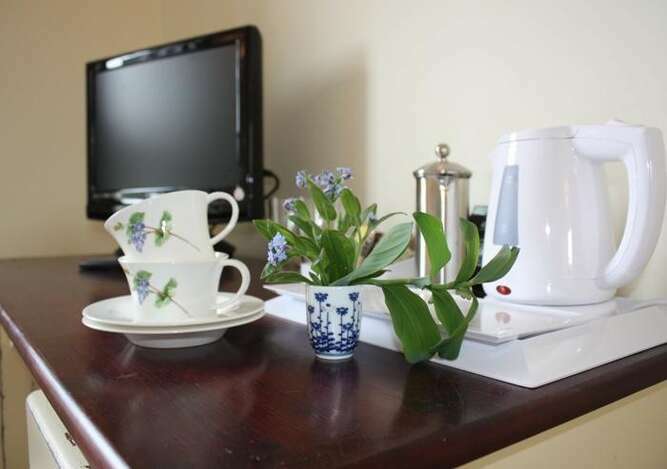 Over Bed and Breakfast is a relaxed and convenient place to stay just outside Cambridge. 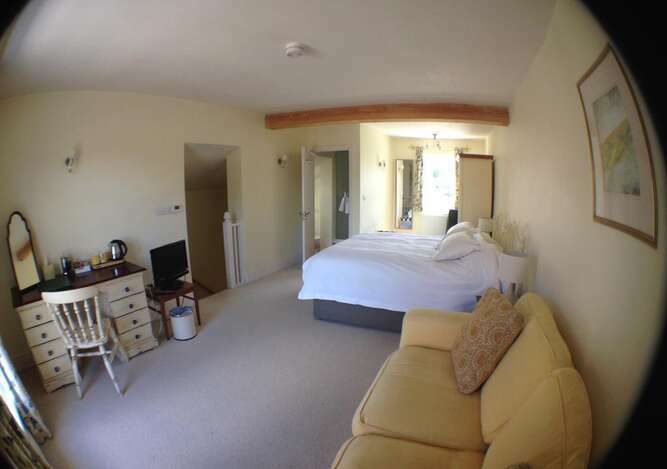 We have two rooms, one can be booked as a double, twin, single or family room, the other as a double or single. 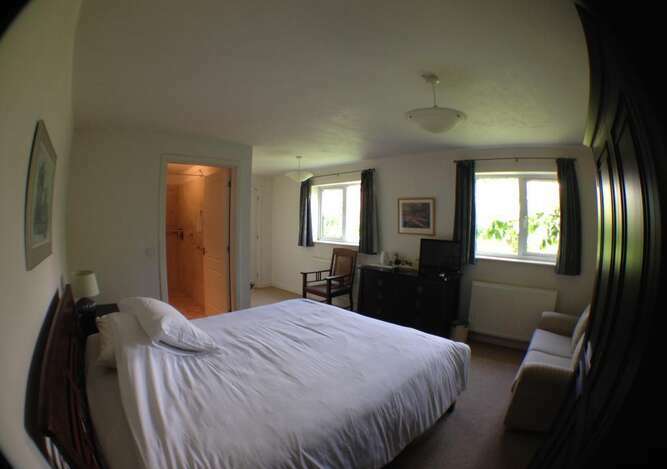 Both rooms are large with comfortable beds and plenty of space. 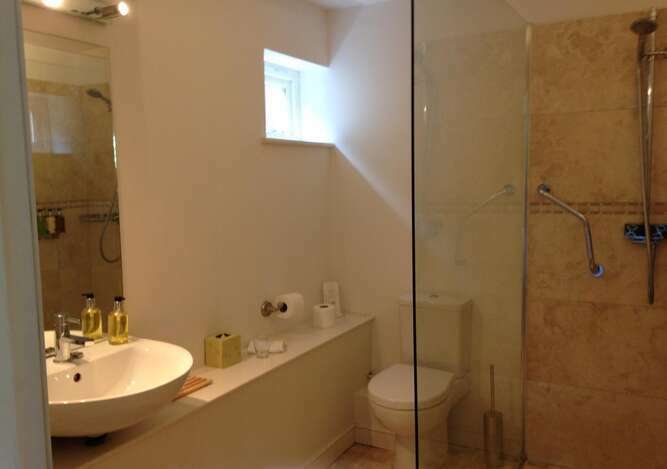 They each have an en-suite shower room which is also generous in size. 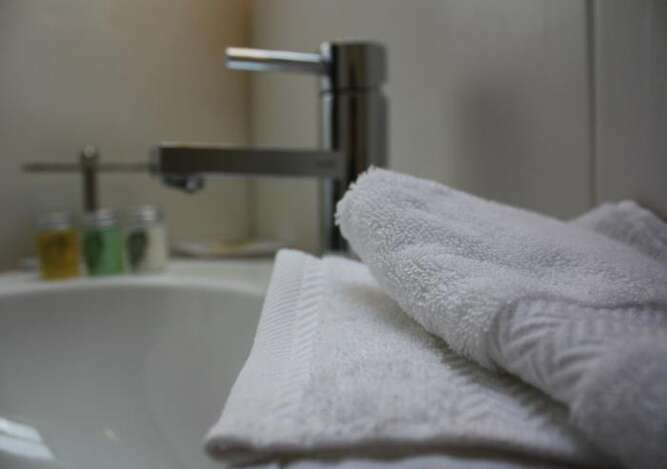 Sheets and towels are cotton, there are quality toiletries, a choice of teas and coffees, fresh milk, TV and WiFi. 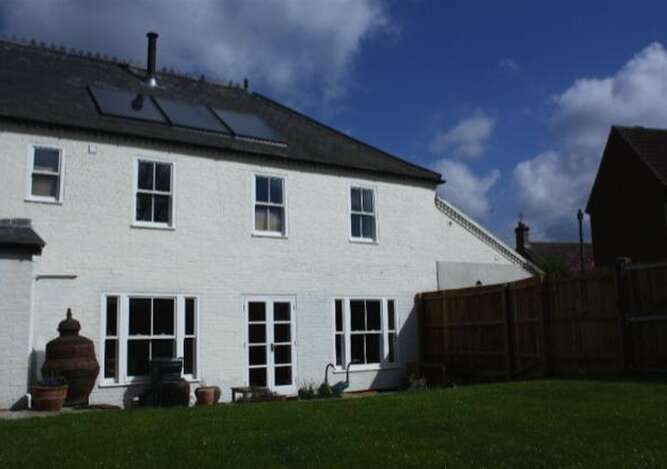 The house was renovated in 2010 and superb insulation helps to keep things warm in winter, cool in summer, and the quiet location means you can open windows if you love fresh air. Breakfast (served from 7am until 10am) is included and served in a sunny room overlooking the garden. We bake our own bread, have homemade jams and marmalade, meats from the local farm, and eggs from chickens fed on grass in the village. In season tomatoes and fruits come from our garden or allotment. Of course we cater for vegetarians and can cater for other dietary needs if you let us know in advance. We can help visitors with tourist information for Cambridge and surrounding area, ideas on where to eat, and suggestions for walkers and birdwatchers on where to go. Business visitors can be sure of an early breakfast from 7am (or earlier if needed) and special rates for regular or full week stays. We try to pay attention to all the details so that you can enjoy your stay here.